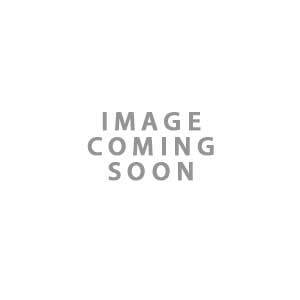 This country style photo frame takes a 6x4 inch photograph in landscape mode and can either stand or hang using the strong strut on the back or the single triangular hook. 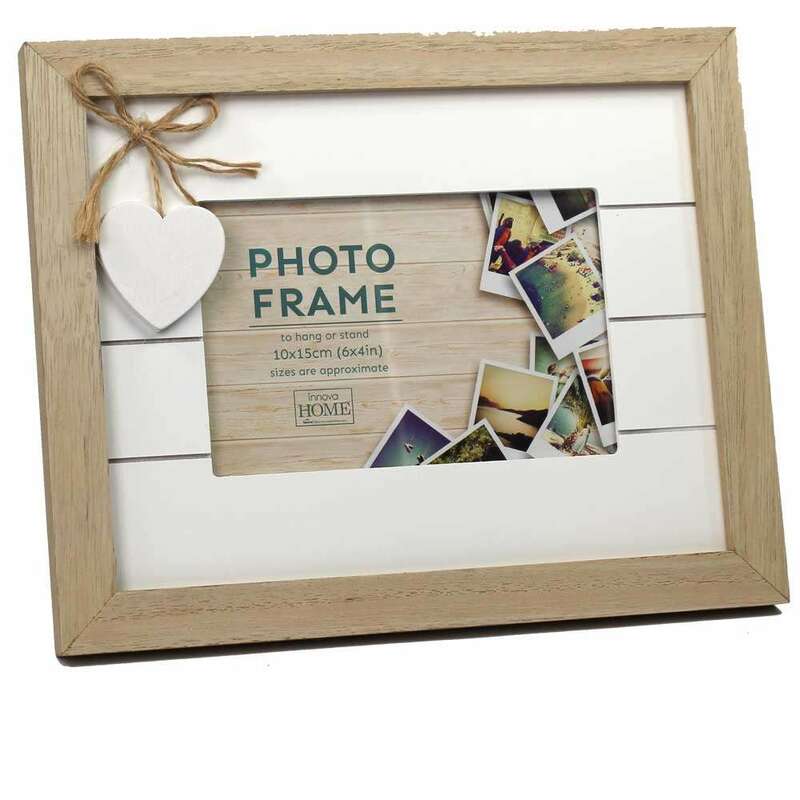 The Amore Frame measures approximately 10x8 inches overall and is made from wood, with a white, grooved MDF insert that the apertures are cut into. A little white wooden heart is attached to the insert via a piece of brown string, which again contrasts really well with the smooth finish of the frame. The contrast between the white inside and light wood edge makes this a striking frame and the rounded corners where the photos are displayed are opposite to the straight corners on the outer edge. The light brown edge is approximately three quarters of an inch wide and sits proud of the white backboard. The photograph is put into the back of the aperture by removing the backboard and then securing it back into place using the 4 plastic clasps. 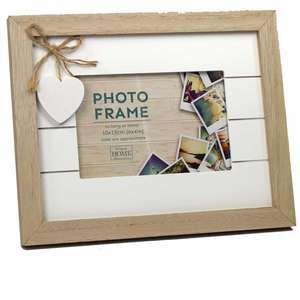 This Amore photo frame is also available in a mulitple photo style.